Beth Doran, Iowa State University Extension and Outreach beef specialist, recommends producers get out in their fields as soon as possible to assess damage to pastures and hay ground and check out possible disaster assistance. The stress of farming can strain a couple's relationship, but the relationship doesn't have to break, says David Brown, a human sciences specialist with Iowa State University Extension and Outreach. After a reprieve in 2017, commodity prices, interest rates and trade distruptions drove Iowa farmland values down for the fourth time in five years. The average statewide value of an acre of farmland is now estimated to be $7,264. This represents a decrease of 0.8 percent, or $62 per acre, from the 2017 estimate. Land values were determined by the 2018 Iowa State University Land Value Survey. 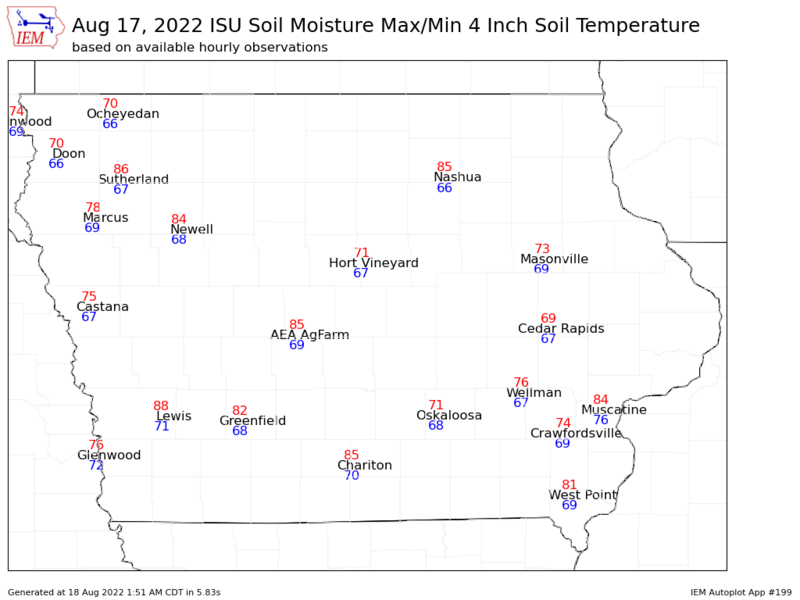 Iowa's late soybean harvest, caused by prolonged heavy rains in September and early October, has resulted in increased instances of field losses, abnormally high harvest moisture content and moldy soybeans. Combating these issues is difficult, but there are steps farmers can take to improve their crops this fall. Stagnant crop prices, trade disputes and a lukewarm forecast for the next several years have left many farmers worried about what the future will bring. The Iowa Concern Hotline is a 24/7 free, confidential resource for anyone with concerns or questions about farm finances, crisis and disaster response and personal health issues. Access to an attorney is also available to help provide legal education.